According to tradition, Lucretia was a beautiful noblewoman of ancient Rome. She was the virtuous wife of Lucius Tarquinius Collatinus, whose uncle was the last king of the city. Lucretia took her own life after being raped by one of the king’s sons. The incident is said to have sparked a revolt in which the royal family was overthrown, marking the start of the Roman Republic. 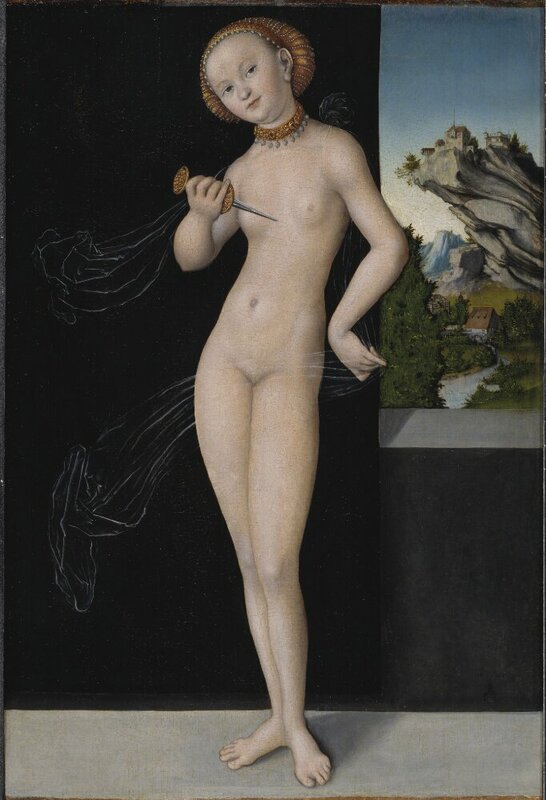 It was a subject the German Renaissance artist Lucas Cranach the Elder and his contemporaries frequently returned to. This painting probably belonged to King Gustav Vasa’s collection of art.